Gimme More Photos > Shoe shine please ! 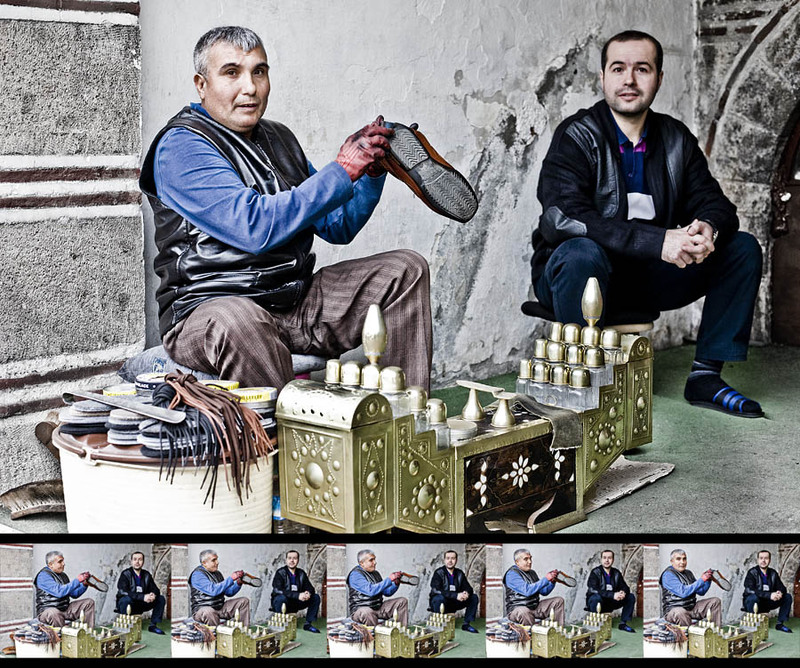 A shoe shine booth in the center of Bursa, Turkey. Now I found a good way to catch people's attention when street shooting : just take a burst of photos. The canon 5D camera I use makes a nice but loud noise when taking a frame. So shooting a long burst just make people looking at the camera after few shots. Here is a good example and therefore I added stamped of all frames I took of this scene. You can see that the customer paid attention to me from frame 1 but it is only on Frame 5 that the shoe shine looked at the camera. He wanted probably to see what made this strange noise in front of him.